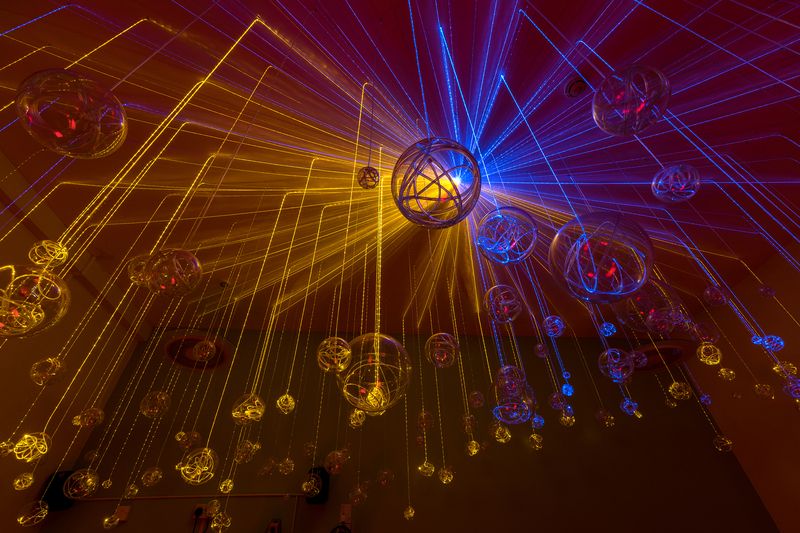 This is a display we thought up and installed on a sensory room ceiling. 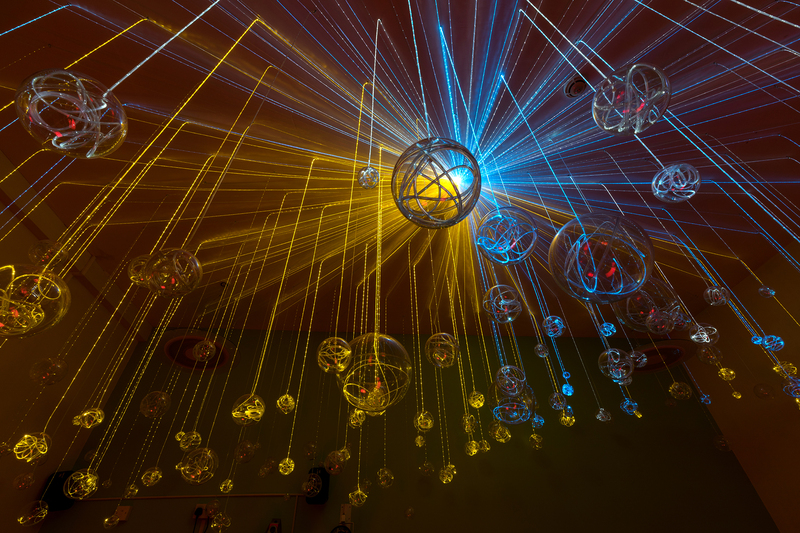 Our client already had a sensory room set up with the usual sensory room equipment installed such as a bubble tube and projector but wanted something interesting for the ceiling. After showing the client some of our chandelier examples, we then agreed that we’d cover the full ceiling with decoration, instead of using a chandelier type base. A few sketches were produced with some different designs to suit their budget and once our client was happy we started production of the concept. 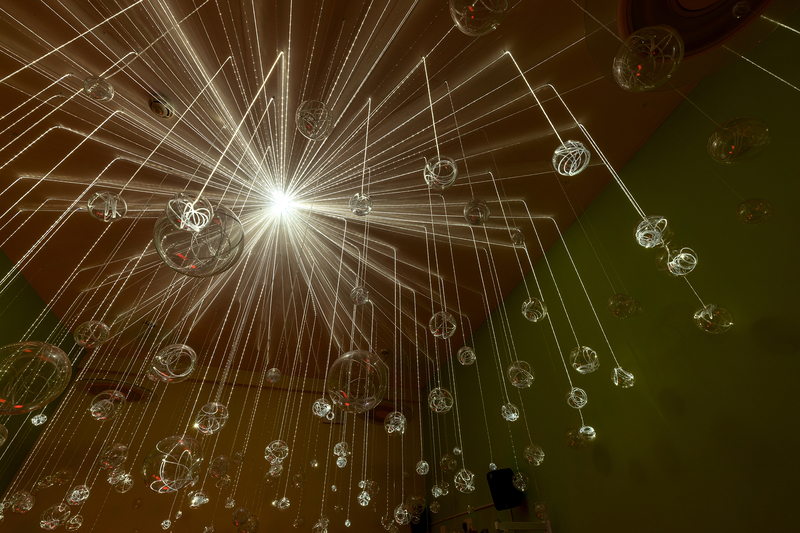 The display consists of 200 spheres of three different sizes suspended from a total of 800m of sparkle fibre light guide at random lengths. 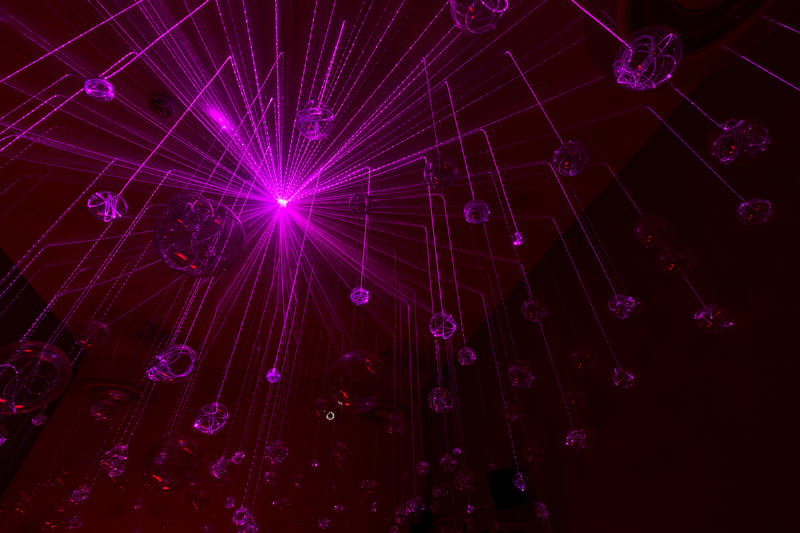 Powering the display is 2 x 20w Cree LED light engines with colour and twinkle animation effects. What you get with this arrangement is a beautiful animated feature with mesmerising colour transition effects which has been greatly received by the staff and guests at the play centre for children with disabilities/additional needs. The video shows a medium speed of colour change. It can be made slower or faster. We think this arrangement would look brilliant slowed down in a spa room or set up to a fast speed or even strobe effect in a night club. This full display would be completely waterproof since there is no electricity at any point of illumination that you can see in this room, It is purely light refracting through the optical fibre, from the light source in the loft, to the hanging sphere accessories.